Ships today if you order in the next 5 hours 37 minutes. Your liver is one hard-working organ. And it certainly doesn't have the most pleasant of jobs in the human body. One of the liver's most important roles is to detoxify your body of the toxins and potentially harmful chemicals that you may absorb from the environment, food you eat or medications you take. It filters all the nasty stuff out of the blood from your digestive system. Your liver also provides bile to keep your digestive system running smoothly, produces proteins that support blood clotting, helps regulate blood glucose, and it stores vitamins and other nutrients for the rest of your body. 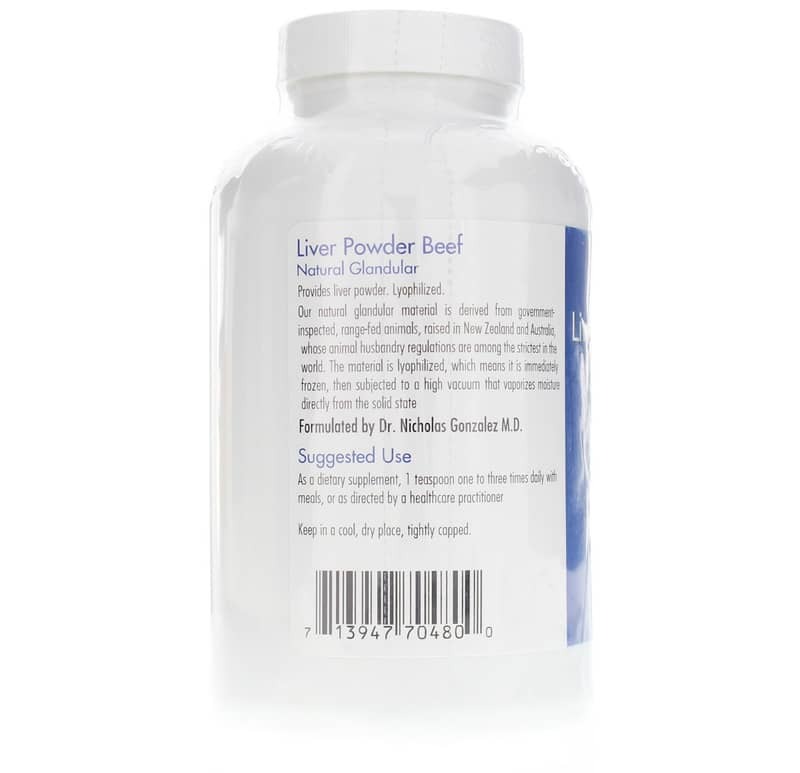 Liver Powder Beef Natural Glandular from Allergy Research Group is a dietary supplement containing high-quality bovine liver tissue for detoxification support and overall liver health. Glandular therapy works on the concept that tissue from animal glands and organs may support the function and health of the same parts of the human body. Allergy Research formulates its glandular supplements from range-fed animals raised in New Zealand and Australia. These countries have some of the strictest animal husbandry regulations in the world. The tissue is lyophilized - or immediately frozen - before a high-powered vacuum vaporizes all the moisture from the solid state. 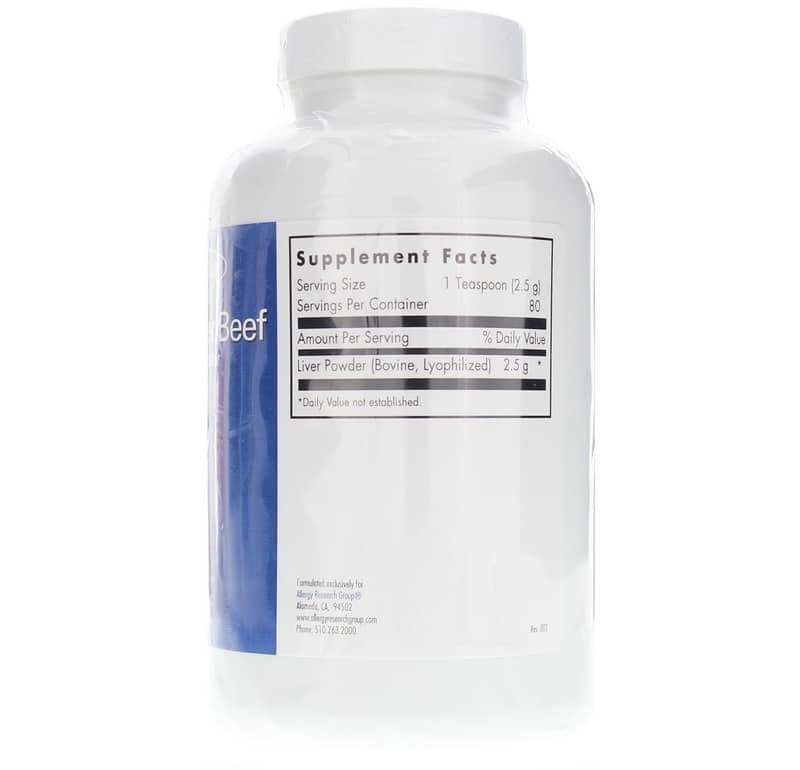 You can trust that these nutrients are of the highest quality and purity available and the product contains no preservatives, diluents, or artificial additives. 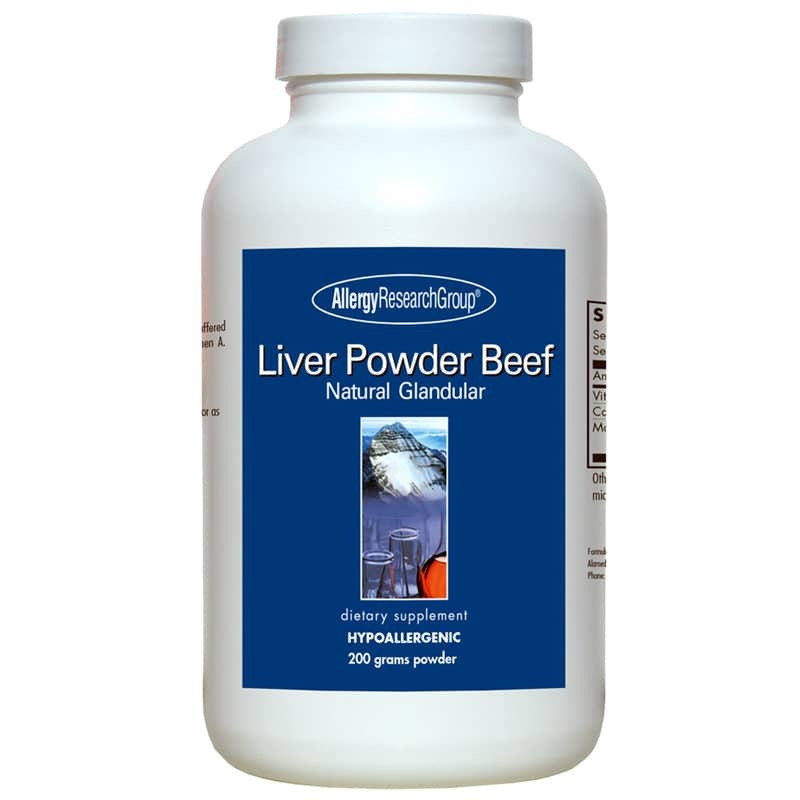 Choose Liver Powder Beef Natural Glandular from Allergy Research for high-quality liver support. Adults: As a dietary supplement, 1 teaspoon one to three times daily with meals or as directed by a healthcare practitioner.